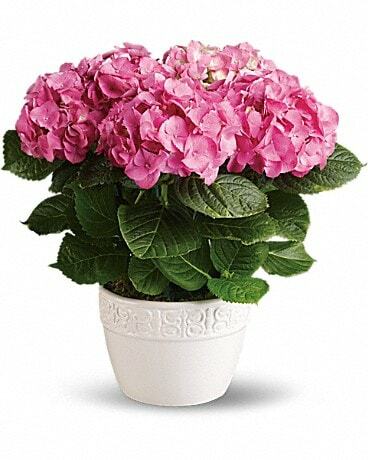 Big, beautiful blossoms of pretty petals make the pink hydrangea a popular gift. Always appreciated, this versatile selection is perfect for a birthday, housewarming, thank-you…whatever. Beautiful to look at and easy to grow, no wonder it's America's darling.